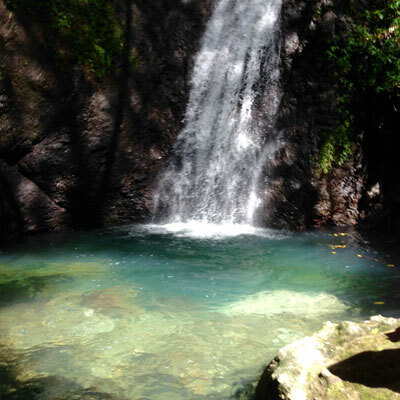 Come hike with us to one of Grenada’s most spectacular waterfalls. 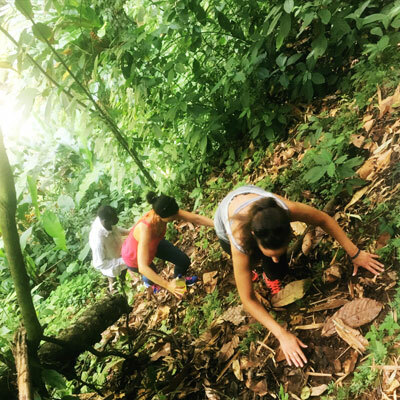 Learn about fruits and trees and animals as we hike up through the rainforest and crossing the river. Wear your swim suit, trainers and bring a bottle of water. We enjoy the ride with Andrews speed boat across to the island where time has no importance. Eat drink relax and enjoy the music by Rogers or walk across to the other side and snorkel, swim or just lay flat on your back and inhale sun and the spectacular views of the ocean. An amazing stroll on the Atlantic side of the island. Breath taking views. Feel the power of nature. On the way we also stop at the spice garden and indulge ourselves with getting familiar with all Grenada’s plants, herbs and fruits. 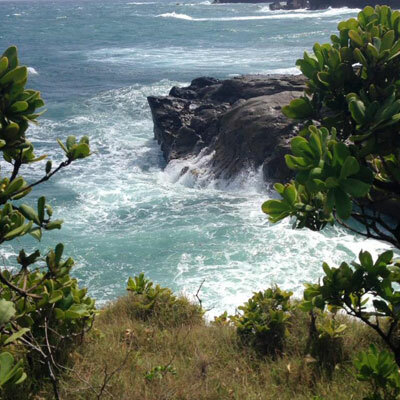 To do an island tour is a great way to get to see some of the amazing spots in Grenada’s lush countryside. We visit the Nutmeg Plant in Gouyave, the authentic Rivers Antione Rum Distillery. We see how coco bean become a chocolate bar at Belmont Estate, feed the coy fish at the volcanic lake in Grand Etang. 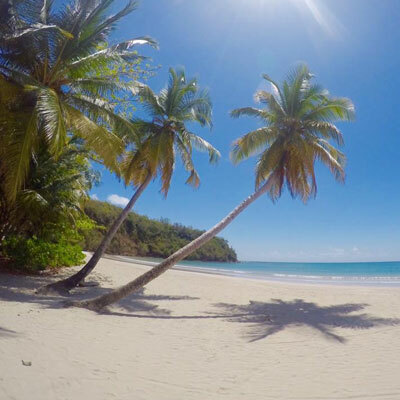 On this tour you get to explore the villages, the people and the taste of the Caribbean. Grenada was the first country in the world with an underwater sculpture park. The warm turquoise Caribbean Sea also offers a wide variety of amazing reefs, wrecks and places to explore in the water. We work together with one of the best dive centres on the island. Set sail towards the first underwater sculpture park in the world. Snorkel around and sail back while the sun is setting in the horizon. 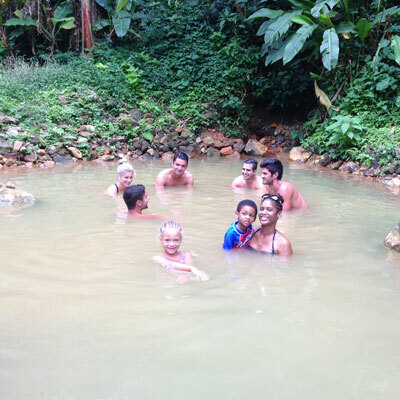 The Sulphur Spring is hidden in the heart of Grenada and the mud makes an amazing facial mask for those who wish to try. On the way we will see Grenada’s rural villages, donkeys and banana fields. Grenada has a few quite challenging amazing rainforests hikes that takes you to places you can only reach by foot. Come with us and explore the heart, the depths and heights of Grenada. Join us to the north of the island and experience an authentic day at the Estate. We plant and harvest fruits, flowers and spices. 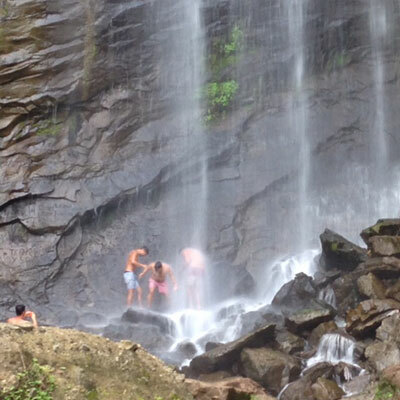 We visit the water spring where you can enjoy the peace and beauty of Myristic Mountain. On our way we will also step back in time and see the slave pen and the ruins of a Great house built by the French. A number of other activities and tours can also be booked on arrival or anytime during your visit to Grenada.